Ohio State’s Richard M. Ross Heart Hospital is a 150-bed facility that combines the latest technology with patient-focused care to create the best possible healing environment. Each floor is dedicated to a specific service, such as cardiac surgery or vascular medicine, and we offer universal patient rooms. This means rooms are designed to be adaptable, allowing most patients to stay in the same private room throughout their hospitalization rather than having to move from room to room as their medical needs change. Experts at the Ross Heart Hospital Ambulatory Care Center see patients on an outpatient basis for initial and follow-up visits related to heart and vascular conditions. These experts include a team of doctors, nurses and other highly skilled heart and lung specialists. OSU Lung Transplant and OSU Heart Transplant also see patients at the Ross Heart Hospital Ambulatory Care Center. These transplant experts closely follow patients and donors through every phase of transplantation. At the Ross Antiarrhythmic Medications Clinic, our team provides FDA mandated side effect monitoring for patients taking chronic antiarrhythmic medications. Patients can expect a comprehensive visit, as we provide testing at the time of a patient’s appointment. We provide electrocardiograms, pulmonary function tests, chest x-rays and other appropriate lab tests. Our pharmacists have specialized training in antiarrhythmic medication management. Patients who have enrolled in this clinic have been shown to have better rates of compliance with the recommended monitoring tests. They have also benefited from our pharmacists’ clinical interventions, resulting in positive outcomes in their care. For more information, contact The Ohio State University Ross Antiarrhythmic Medications Clinic at 614-293-0932. The cardiologists and genetic counselors at Ohio State’s Cardiovascular Genetic and Genomic Medicine Program perform family history and genetic risk assessments to create personalized prevention and/or treatment plans for cardiovascular diseases such as coronary artery disease, aortic aneurysms, cardiomyopathy, arrhythmias and others. Services offered include consultation, physical exam, lab testing for genetic risk factors and cardiovascular imaging studies. At Ohio State’s Cardiovascular Risk Reduction and Lipid Clinic, we design individualized care plans to help you meet your cholesterol and lipid management goals. Treatment plans may include a combination of lifestyle modification coaching and management of medications. The goal of our clinic is to reduce the instances of disease caused by an abnormally high amount of lipids in the blood, including heart attacks and strokes. Our team consists of cardiologists and pharmacists with specialty training and certification in lipid management. If you have an intolerance to therapy, difficulty achieving lipid goals, a strong family history of heart disease, low HDL, high triglycerides, metabolic syndrome, familial hypercholesterolemia or are on medications that are a high risk for interactions, then you may benefit from our Cardiovascular Risk Reduction and Lipid Clinic. For more information, contact Ohio State’s Cardiovascular Risk Reduction and Lipid Clinic at 614-293-0932. Ohio State’s Comprehensive Transplant Center (CTC) is a nationally ranked leader in caring for patients with kidney, heart and lung, and other diseases. OSU Heart Transplant sees patients at the Ross Heart Hospital Ambulatory Care Center, located on the first floor of the Ross Heart Hospital. A team of transplant experts closely follow patients and donors through every phase of heart transplantation. Since completing our first heart transplant in 1986, The Ohio State University Wexner Medical Center has been the only adult heart transplant center in central Ohio. Hours: Mon., 8 a.m.-1 p.m., approximately every 6 to 8 weeks. The Inherited Arrhythmia Clinic at Ohio State University Wexner Medical Center is a consultative service providing comprehensive management, treatment and genetic counseling as well as genetic testing for patients with, or at risk for, inherited cardiac rhythm disorders. Patients are treated by a multidisciplinary team of experts including electrophysiologists and electrophysiology nurses, a medical geneticist, certified genetic counselor and pharmacist. Patients recovering from heart procedures such as surgery, bypass or stenting will spend time in the cardiac intensive care unit for observation and recovery. Our staff at the Richard M. Ross Heart Hospital combines the latest technology with outstanding, patient-focused care to create the best possible healing environment and outcomes for our patients. Note: Times are as general hospital visiting hours, but may be limited based on patient's condition. Hours: Mon.-Fri., 7:30 a.m.-3:30 p.m.
Ohio State’s Comprehensive Transplant Center (CTC) is a nationally ranked leader in caring for patients with kidney, heart and lung, and other diseases. OSU Lung Transplant sees patients at the Ross Heart Hospital Ambulatory Care Center, located on the first floor of the Ross Heart Hospital. A team of transplant experts closely follow patients and donors through every phase of lung transplantation. 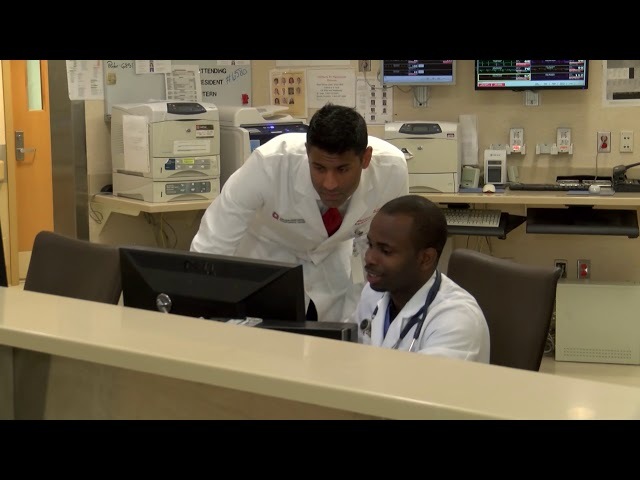 The Ohio State University Wexner Medical Center Ross Heart Hospital’s Medication Therapy Management Clinic provides patients with a comprehensive medication review by a clinical pharmacist. Each pharmacist has specialized training in medication therapy management. Patients receive an individualized Medication Action Plan and a detailed medication profile following their appointment. We work with our patients to help them understand their medications and use them properly. Patients enrolled in this clinic have been shown to have improved outcomes in their care and have benefited from our pharmacists’ clinical interventions. For more information, contact The Ohio State University Ross Heart Hospital’s Medication Therapy Management Clinic at 614-293-0932. Our Sleep Medicine experts literally work around the clock to help people with sleep problems. We help patients with sleep apnea and heart disease. Sleep apnea is serious condition in which breathing stops and starts during sleep. 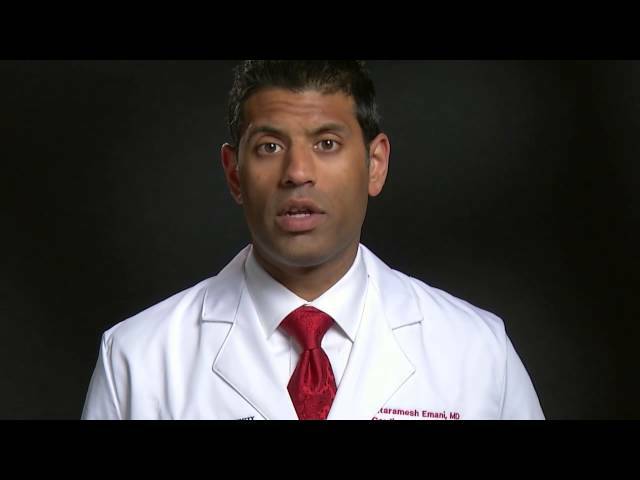 Studies show treating of sleep apnea improves heart function and reduce heart disease risk. Specific treatment for heart disease and sleep apnea will be determined by your physician based on various factors, such as age, health and medical history. Therapy options are based on individual needs. The Ohio State University Wexner Medical Center Ross Heart Hospital’s Smoking Cessation Clinic offers consultation and support services to assist those who are thinking about or ready to stop smoking. We provide both pharmacological and non-pharmacological therapies to help patients achieve and maintain a tobacco-free lifestyle. The clinic is pharmacist-run and physician supervised, providing consultation and support services. Each pharmacist has specialized training in smoking cessation. Patients enrolled in this clinic have been shown to have improved outcomes in their care and have benefited from our pharmacists’ clinical interventions. Ohio State's Ross Heart Hospital Smoking Cessation Clinic is located on the first floor of the Ross Heart Hospital. For more information, contact The Ohio State University Wexner Medical Center Ross Heart Hospital’s Smoking Cessation Clinic at 614-293-0932. Ohio State’s Richard M. Ross Heart Hospital is located just south of The Ohio State University campus in Columbus. Valet service is located at its entrance at 452 W. 10th Ave. It is available for $8 Monday through Friday from 5 a.m. to 5:45 p.m.
Visitation is 24 hours a day in most areas of the hospital, but please check with the staff in the patient care unit to confirm the policy for that area. From 10 p.m.-5 a.m., patients are limited to one visitor. Intensive Care Unit hours vary, so please check with unit staff. The cardiac catheterization experts at Ohio State's Ross Heart Hospital open blocked arteries with balloons and stents. You're in good hands with the surgical teams at Ohio State's Ross Heart Hospital, nationally recognized for the quality of their care. 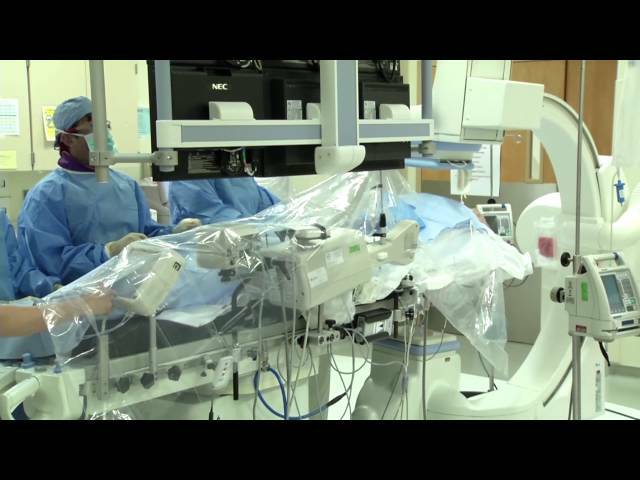 Ohio State's vascular care experts can treat even the most complex vascular conditions using advanced imaging techniques and minimally invasive surgical procedures. The collaborative approach to heart failure care at Ohio State's Ross Heart Hospital ensures that you get exactly the kind of care you need,including access to the most advanced heart failure treatments available. When an electrical problem in your heart causes it to beat too quickly or slowly, experts at Ohio State are trained in a variety of procedures that can return your heartbeat to normal.